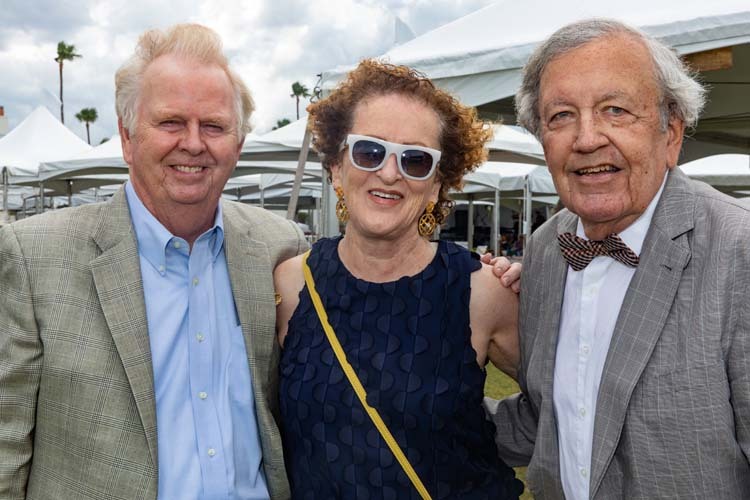 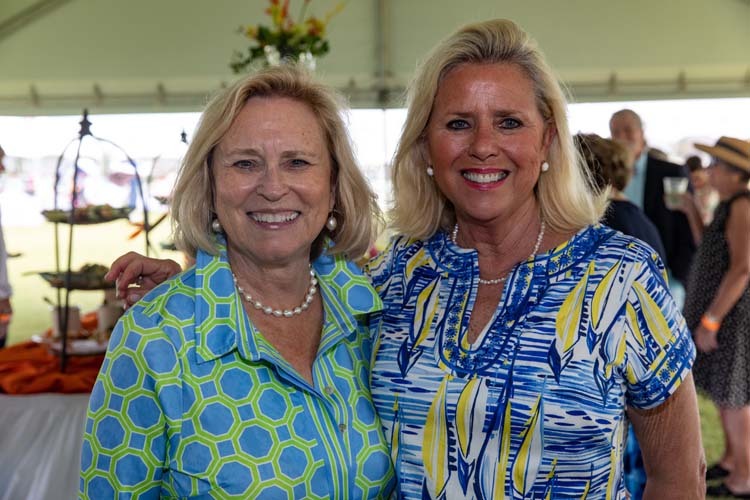 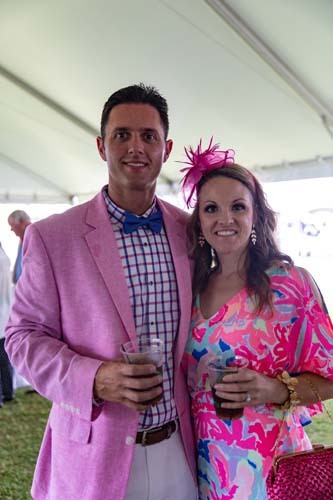 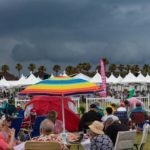 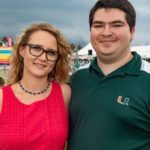 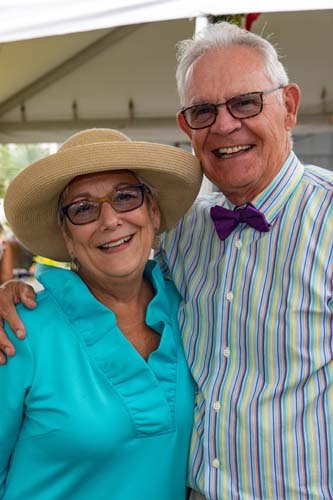 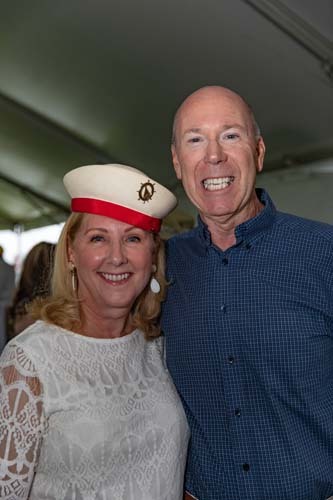 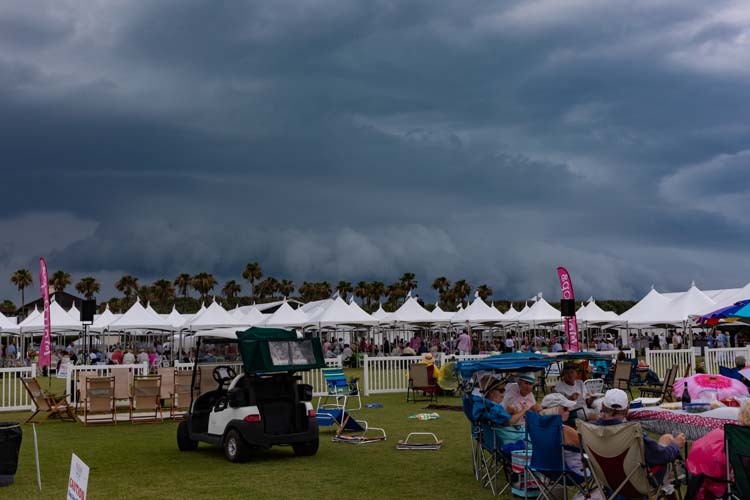 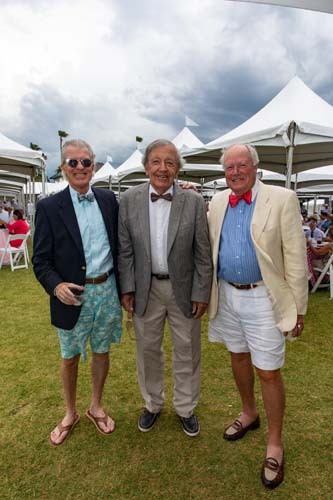 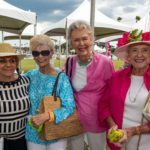 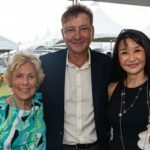 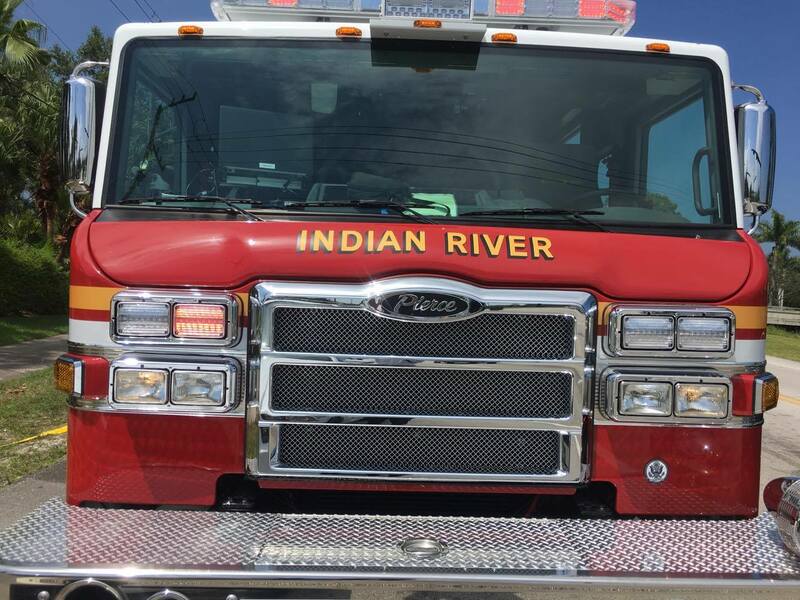 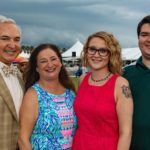 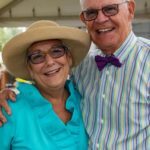 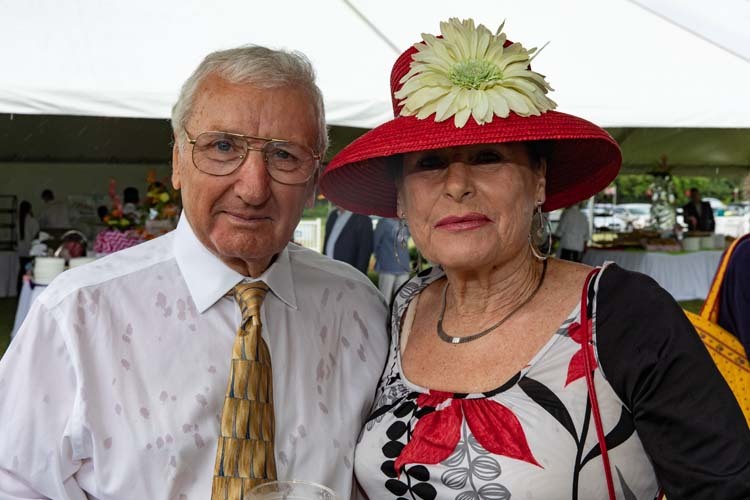 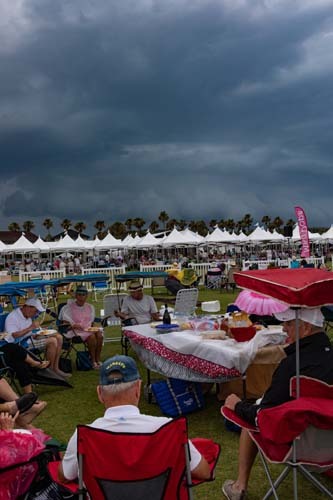 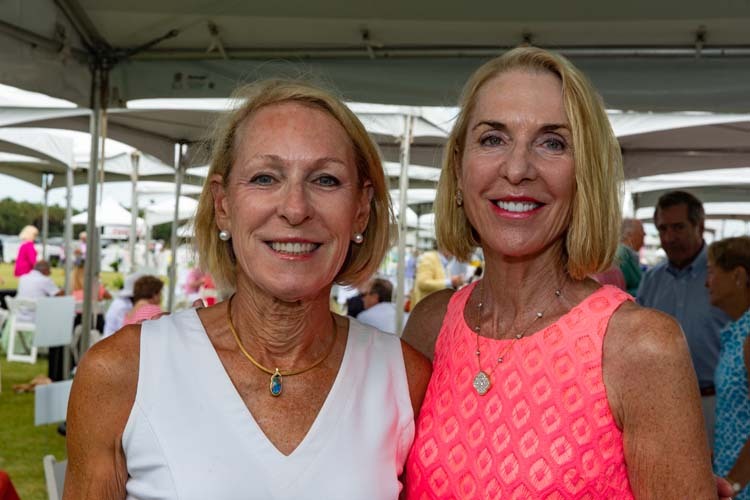 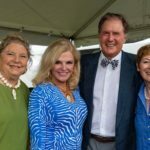 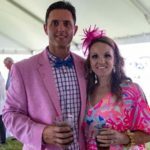 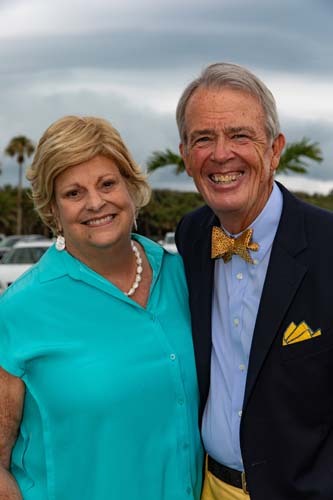 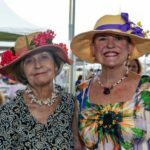 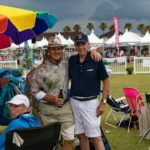 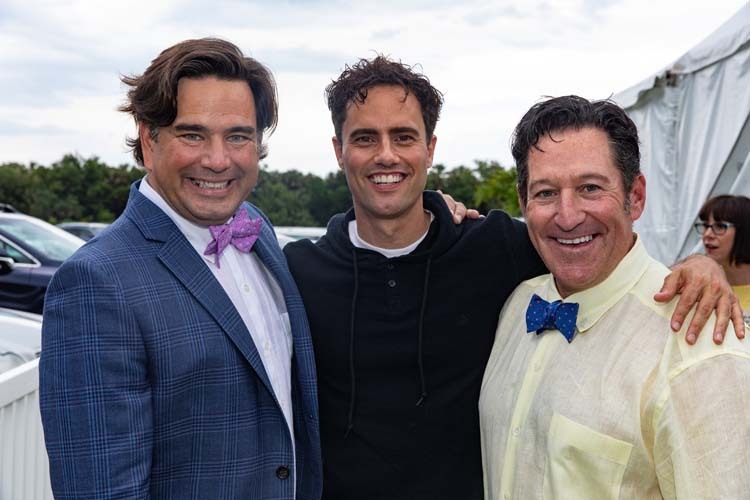 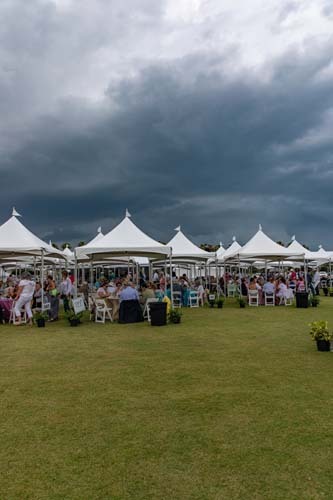 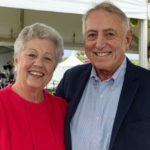 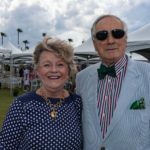 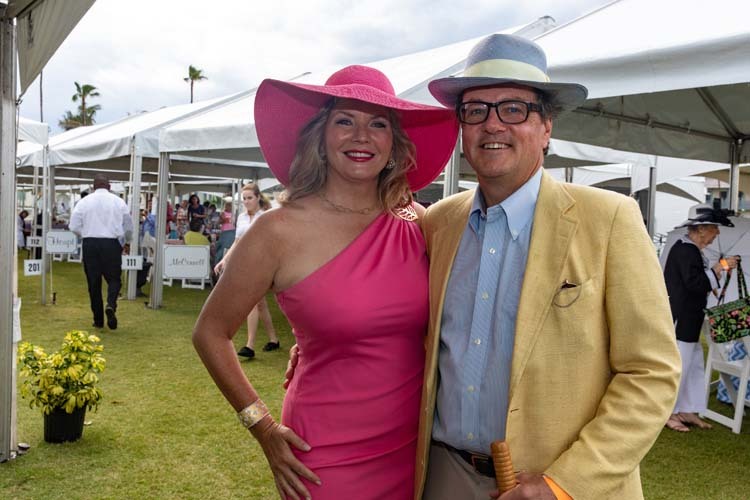 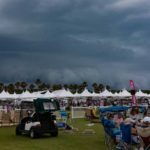 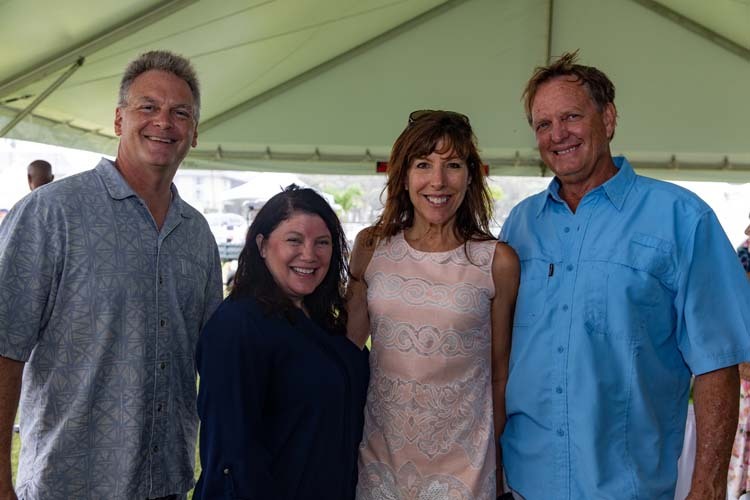 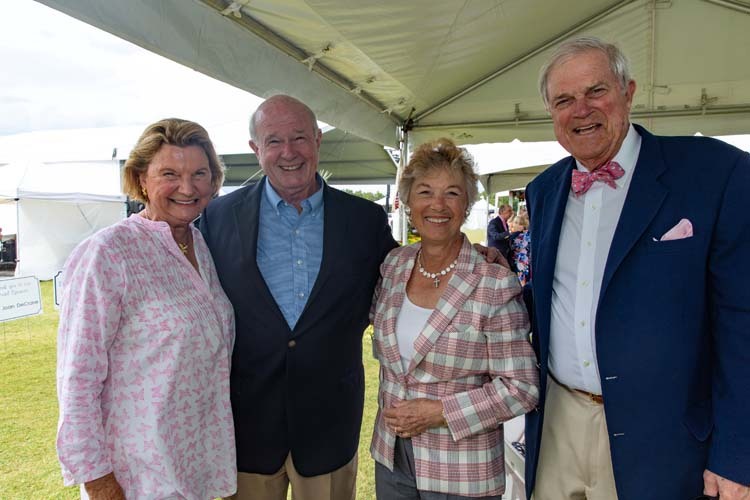 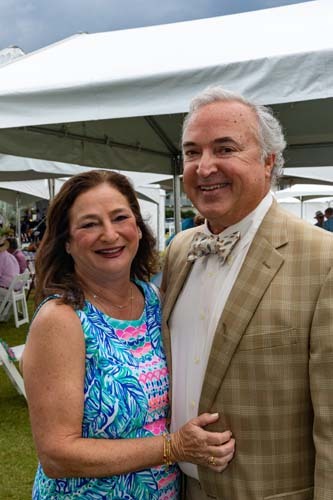 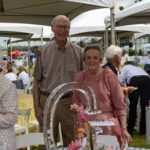 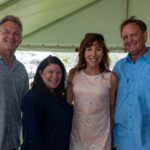 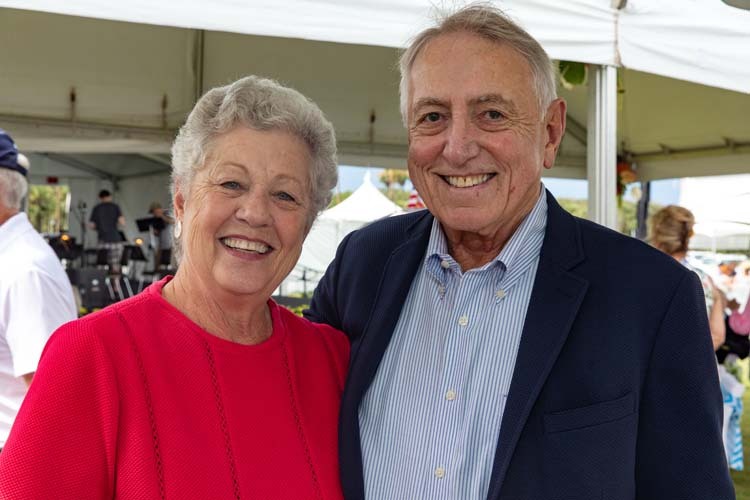 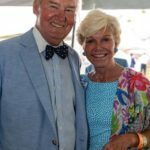 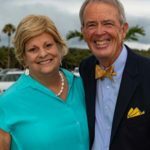 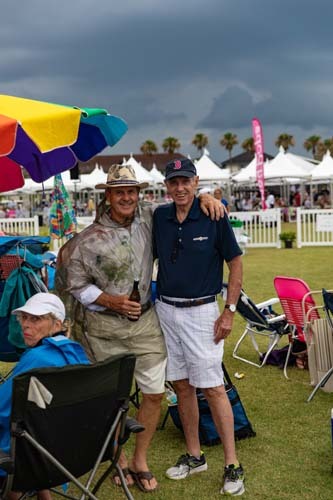 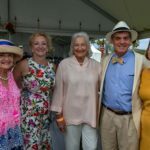 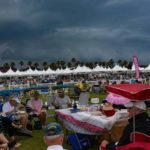 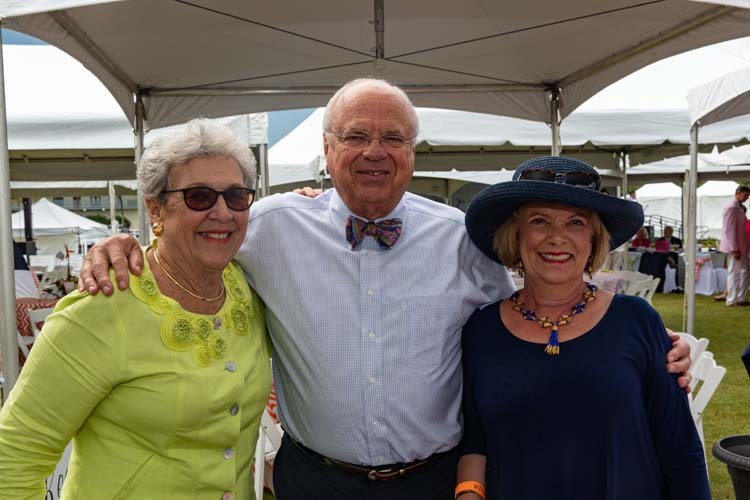 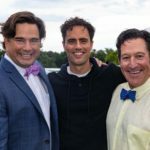 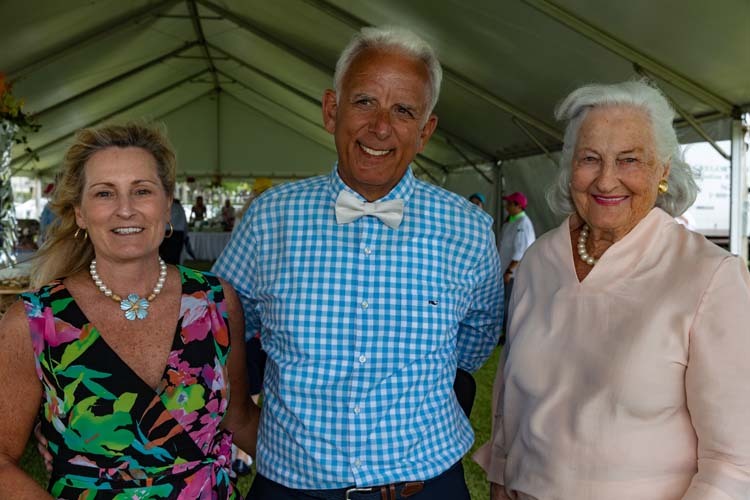 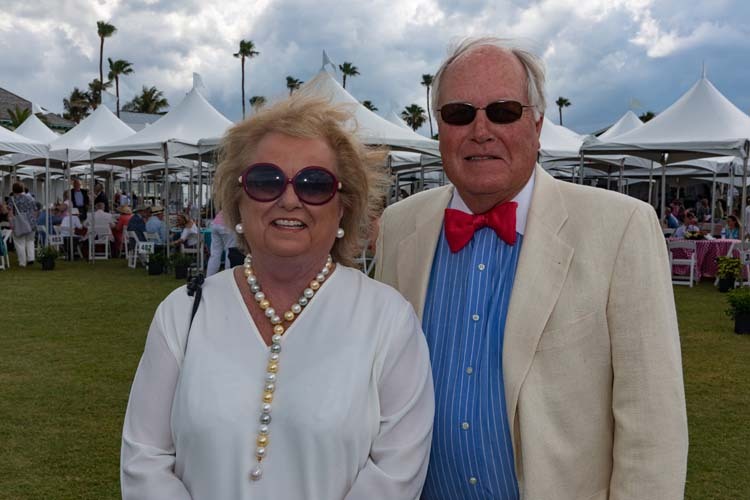 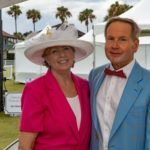 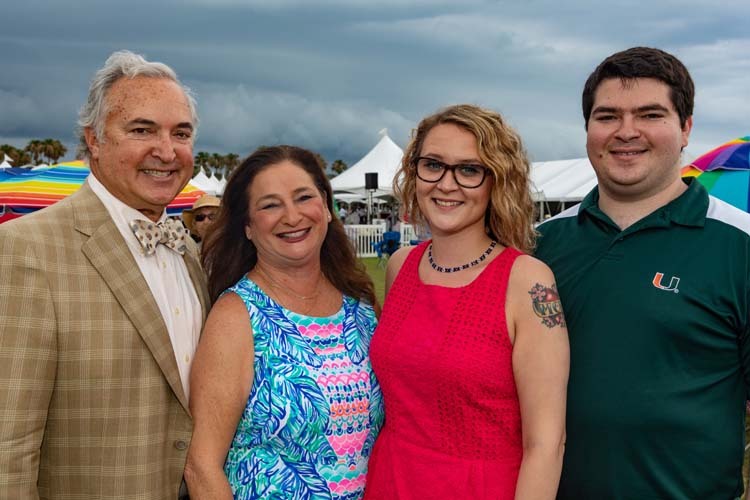 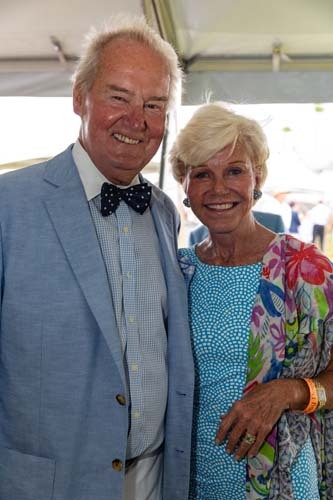 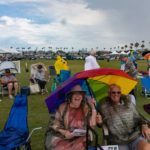 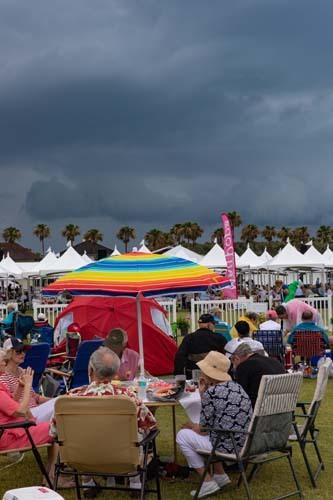 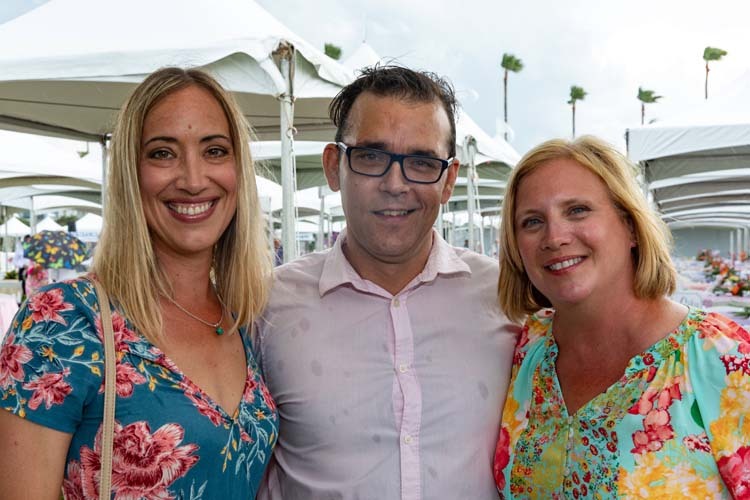 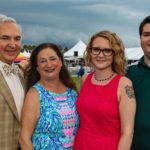 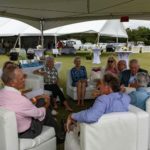 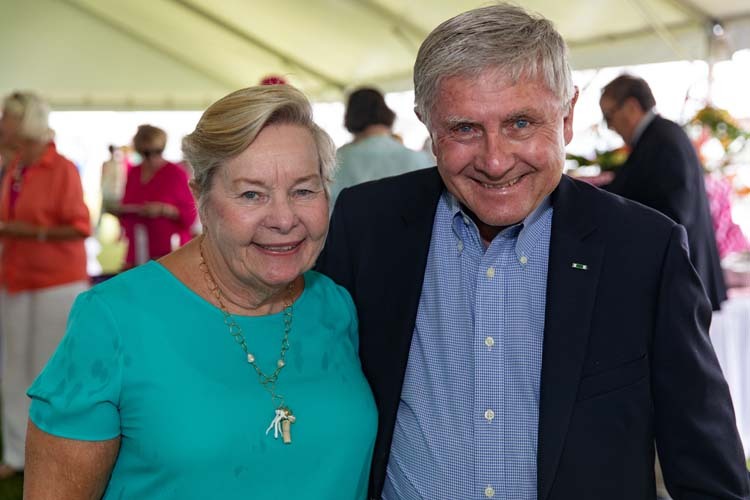 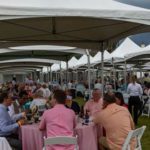 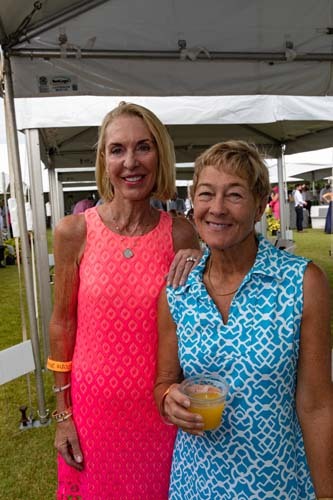 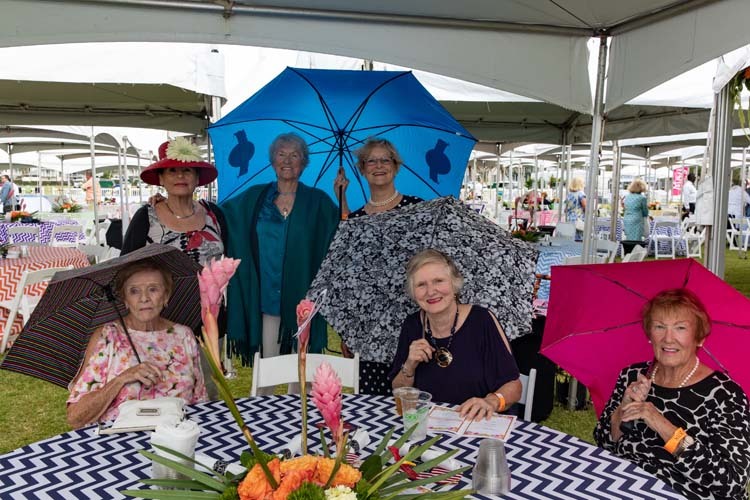 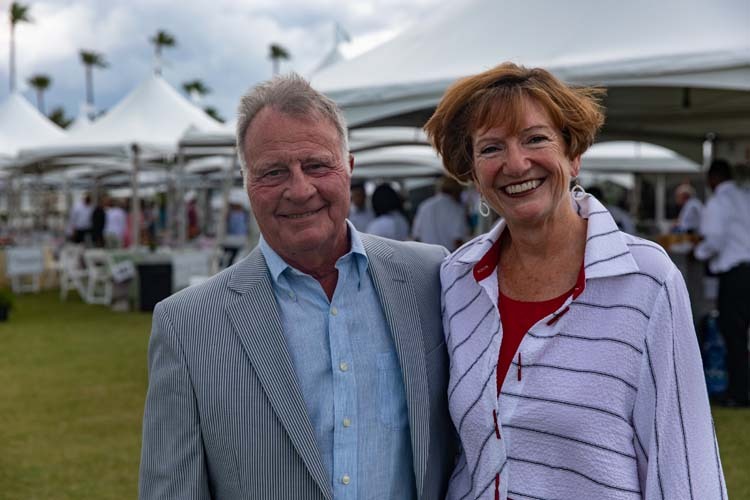 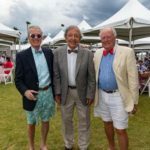 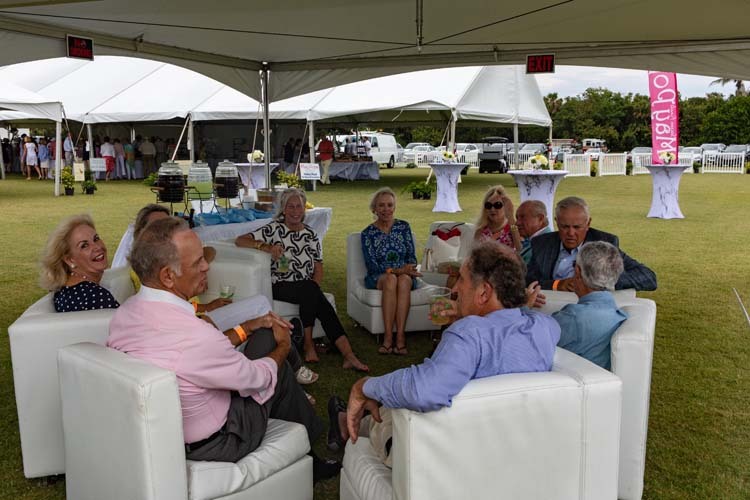 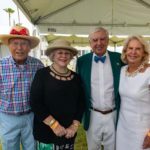 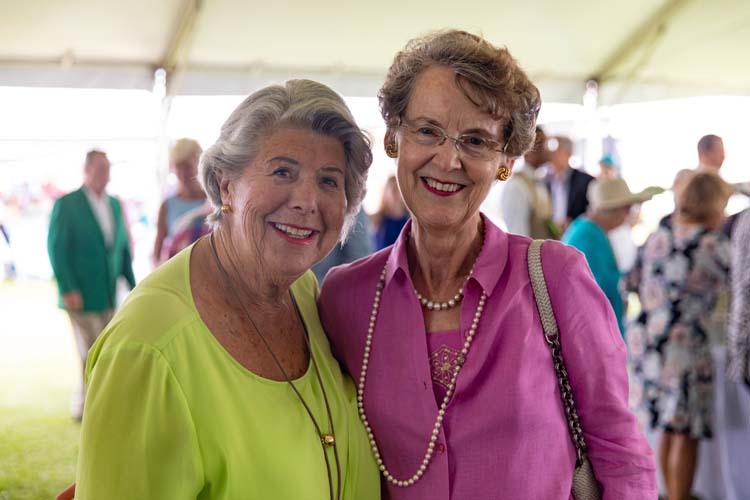 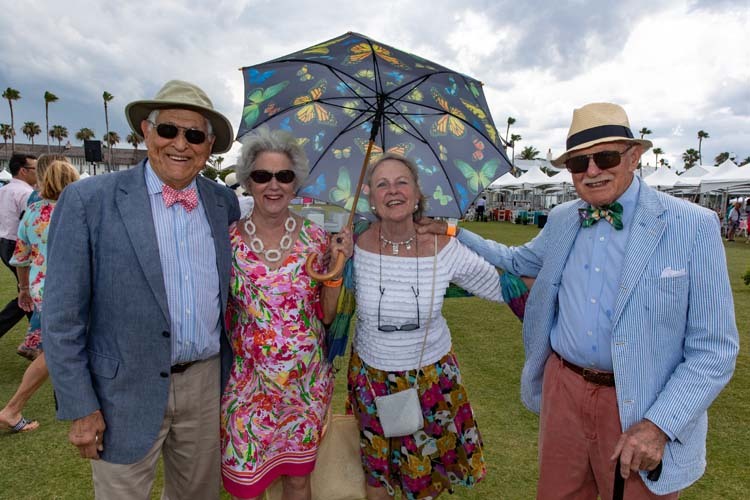 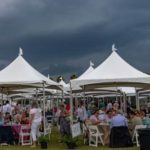 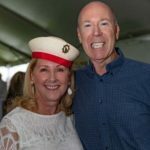 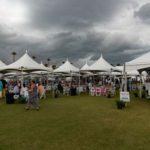 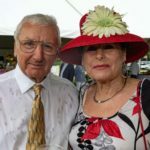 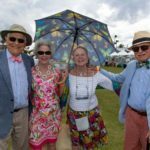 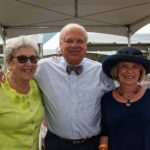 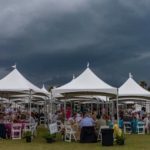 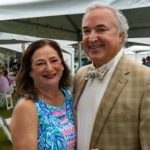 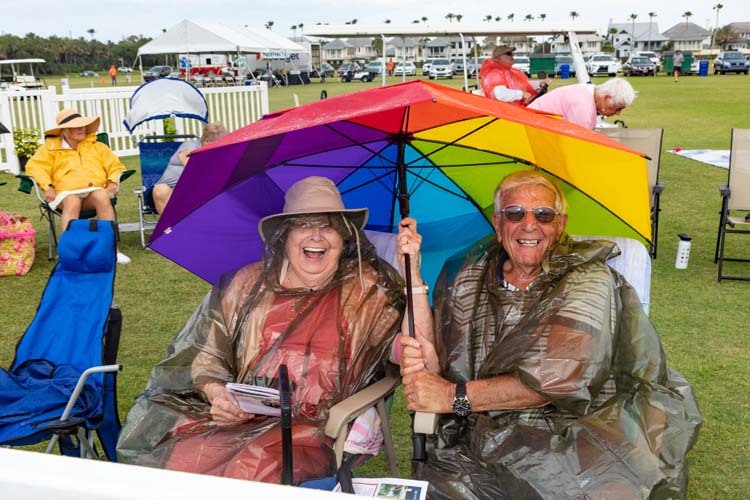 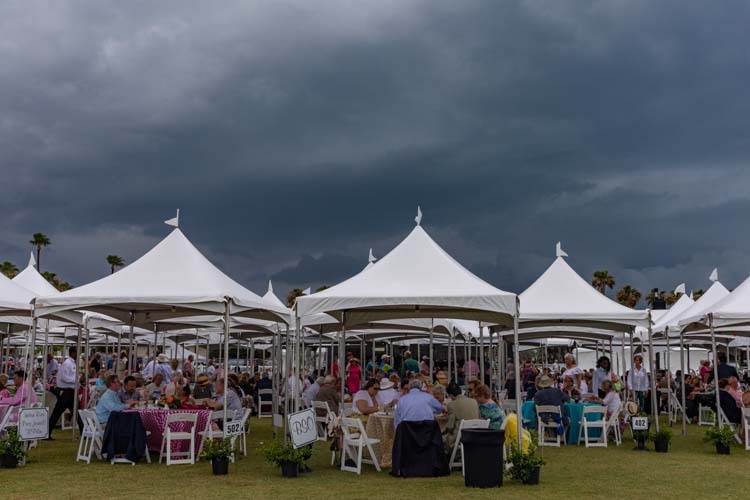 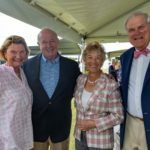 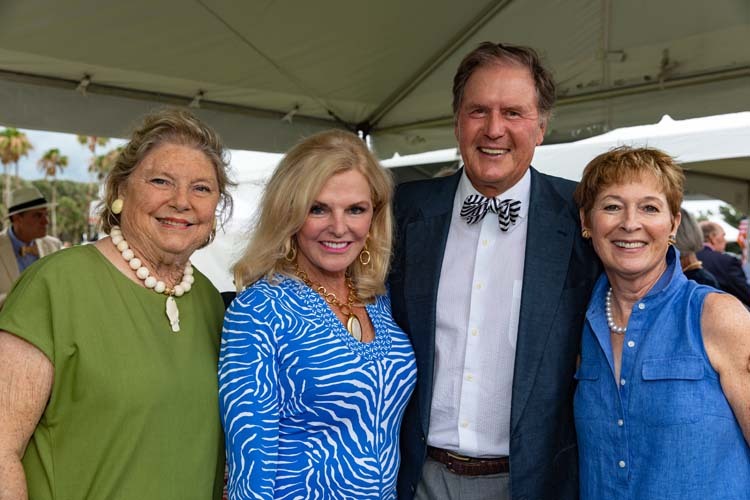 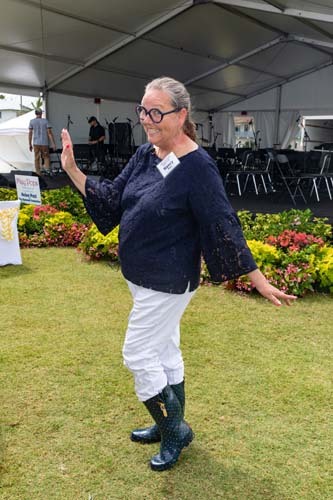 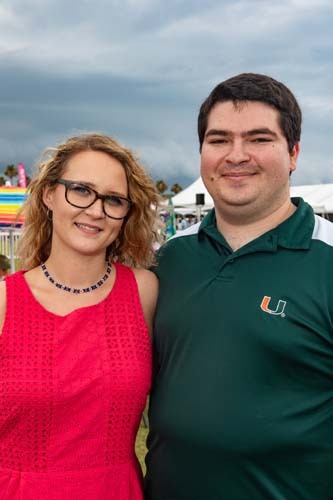 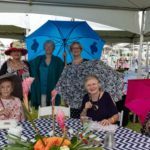 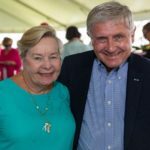 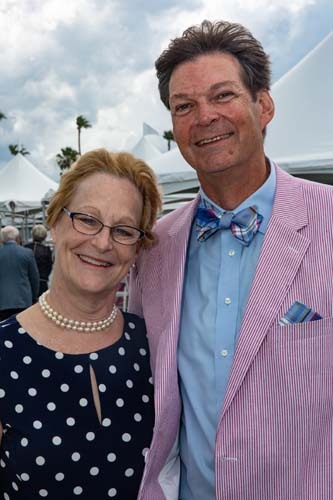 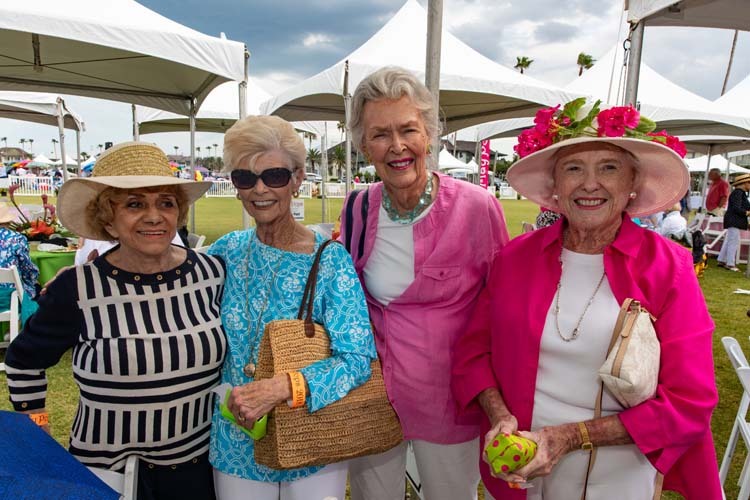 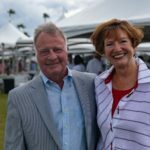 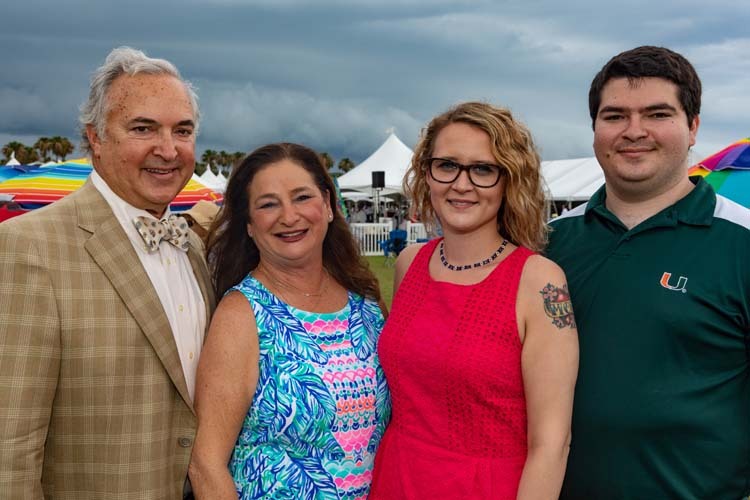 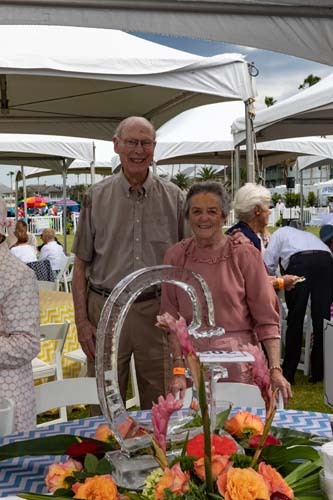 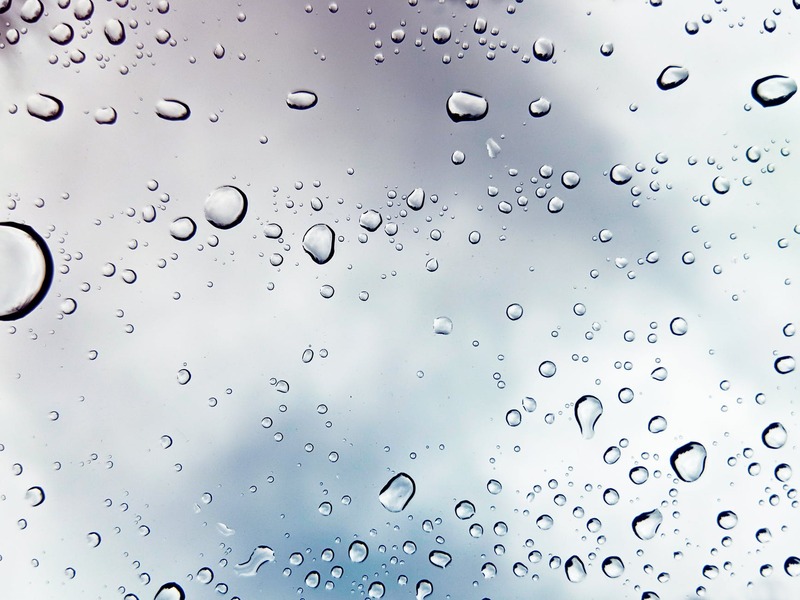 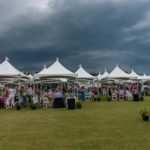 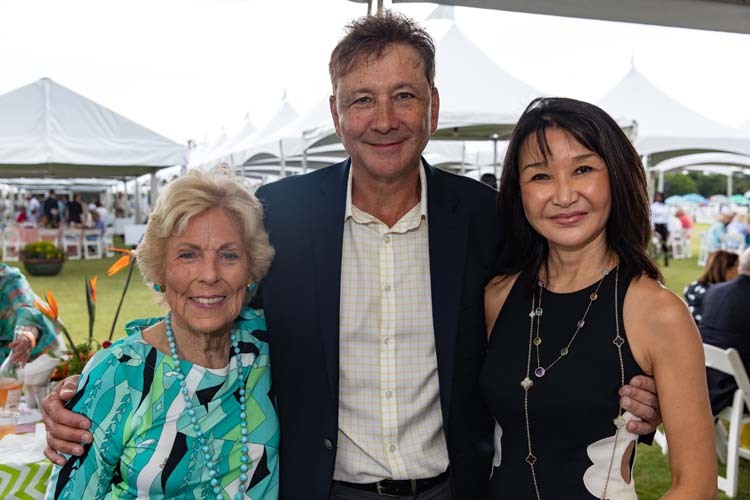 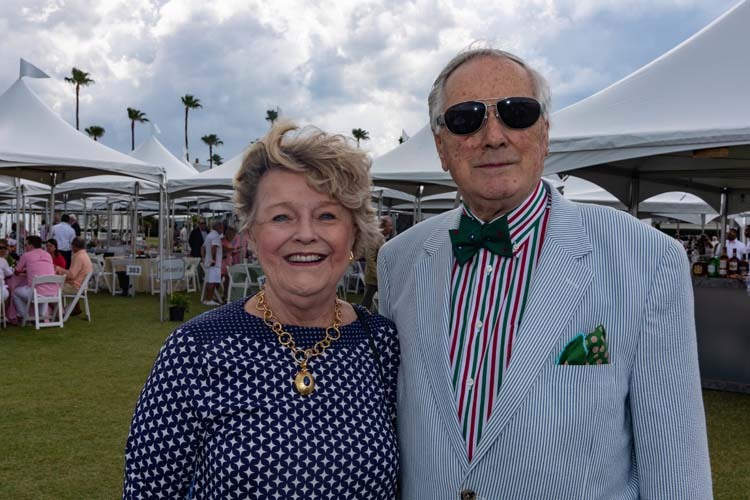 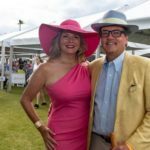 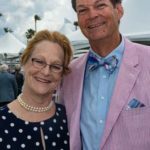 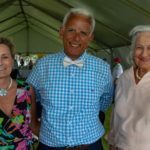 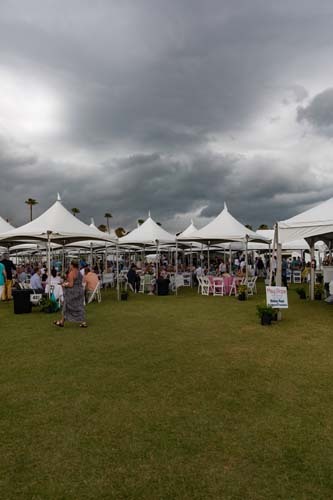 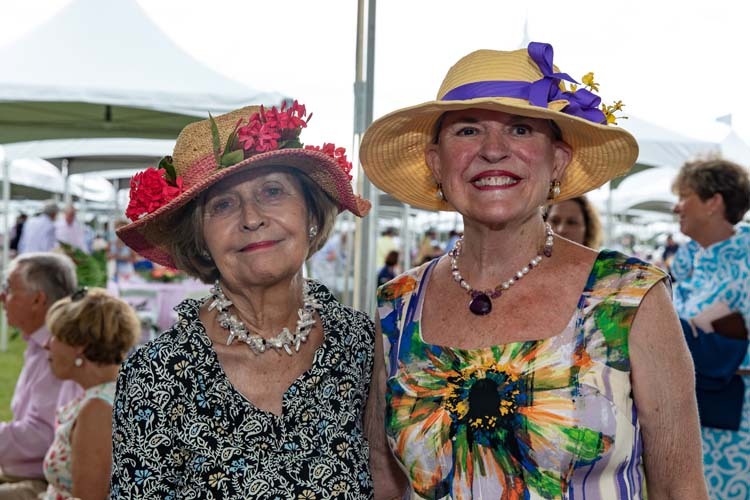 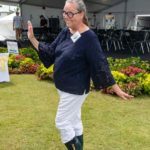 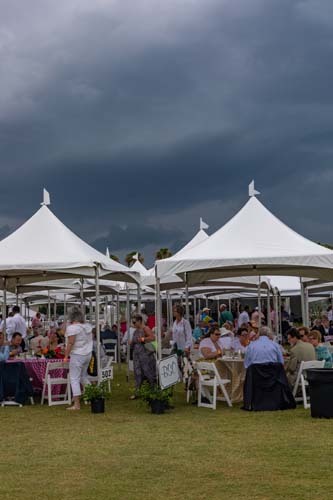 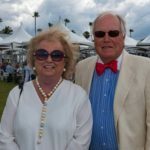 While it’s true that into every life a little rain must fall, the severe thunderstorms last Sunday afternoon almost curtailed the 29th annual May Pops Concert at Windsor to benefit the Indian River Medical Center Foundation. 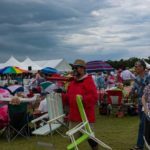 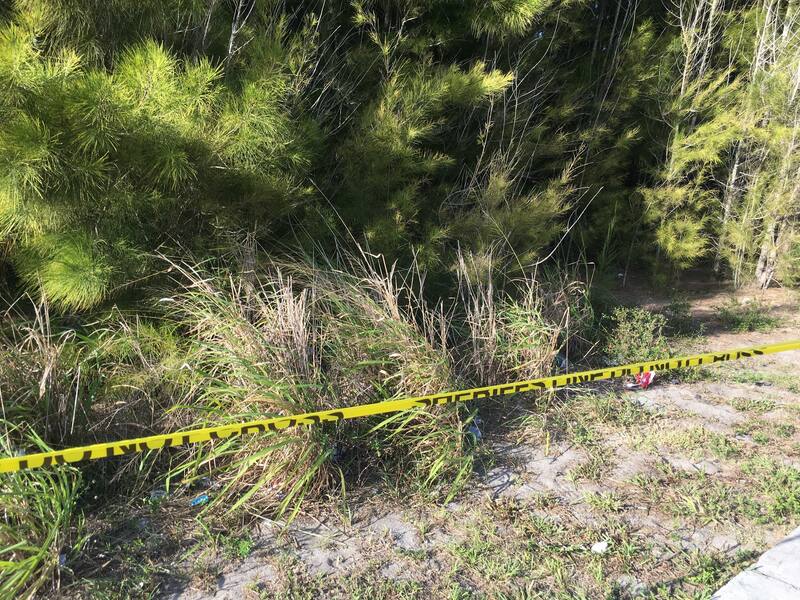 But Vero residents – and the amazing Brevard Symphony Orchestra – are made of sturdier stuff than that. 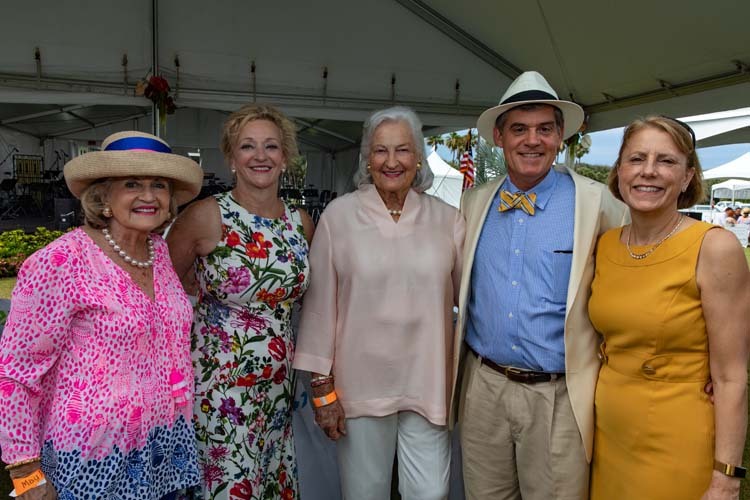 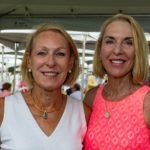 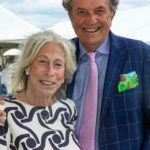 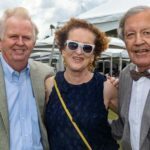 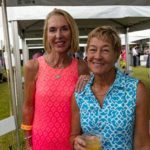 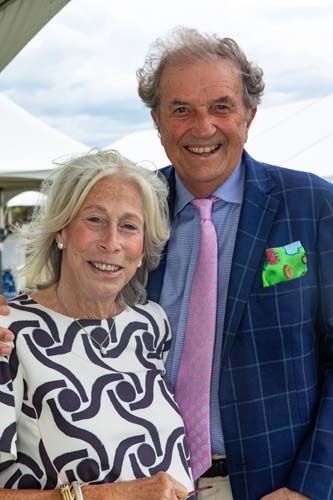 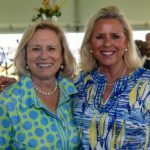 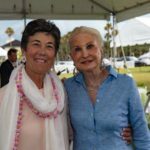 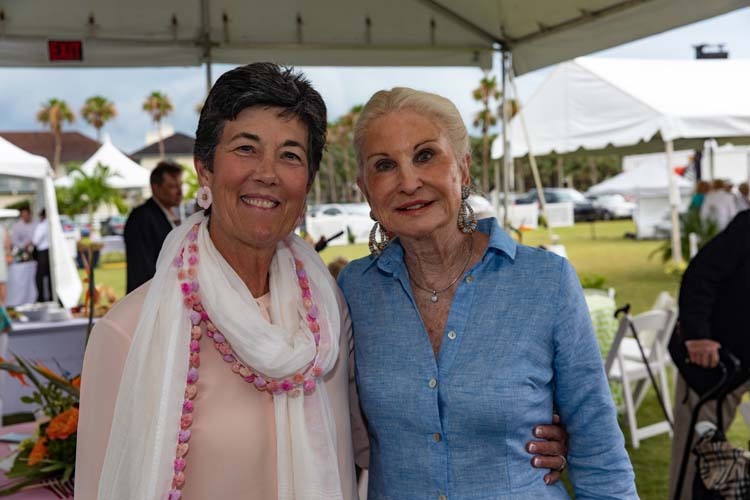 Helen Post and The Plansoen Foundation were again presenting sponsors for the event, which marked the unofficial end to Vero’s busy social season with a thunderous bang. 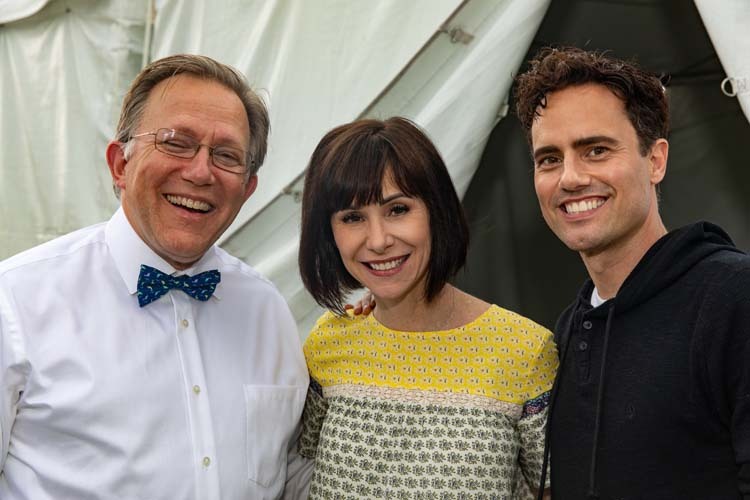 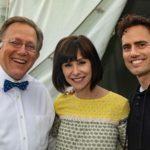 Everyone stayed as the deluge poured down around them and in true show-must-go-on fashion the orchestra, led by principal conductor and music director Maestro Christopher Confessore and joined by Broadway stars Susan Egan and David Burnham, played without intermission; finishing every last song – even an encore. 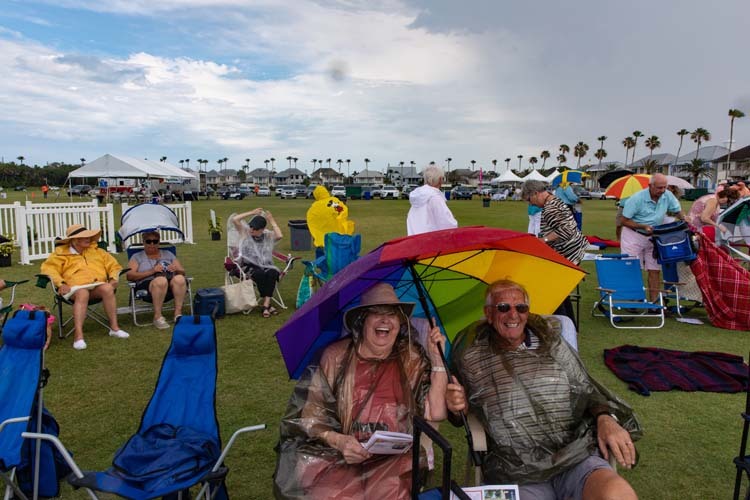 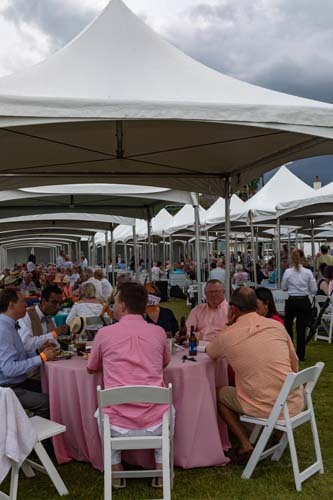 Earlier, intermittent showers sprinkled down as VIP supporters of the foundation arrived to enjoy a pre-concert buffet, sitting at festive tables set under five rows of cabanas that provided some shelter from the rain – augmented by ponchos and colorful umbrellas. 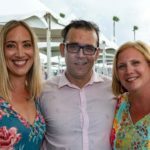 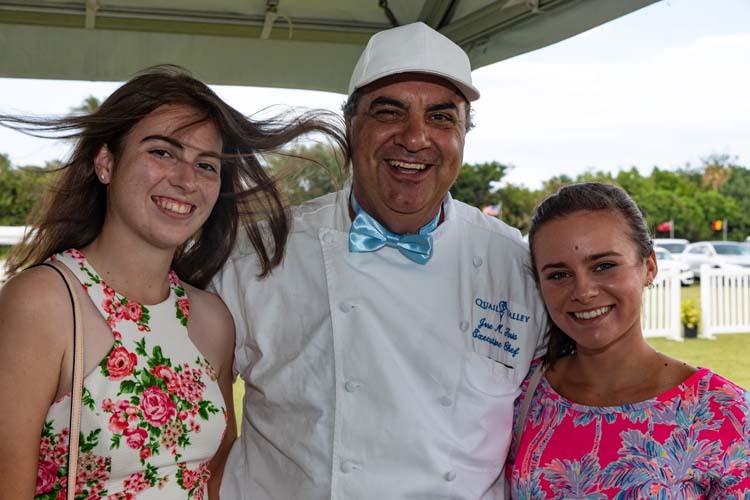 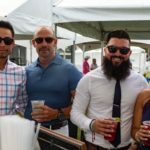 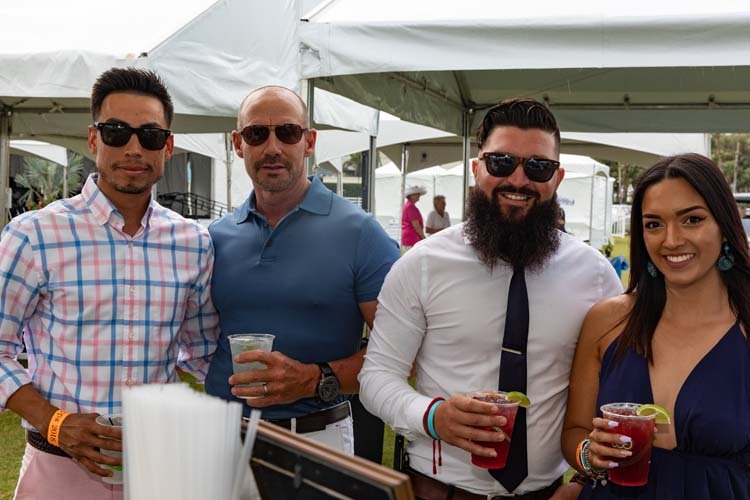 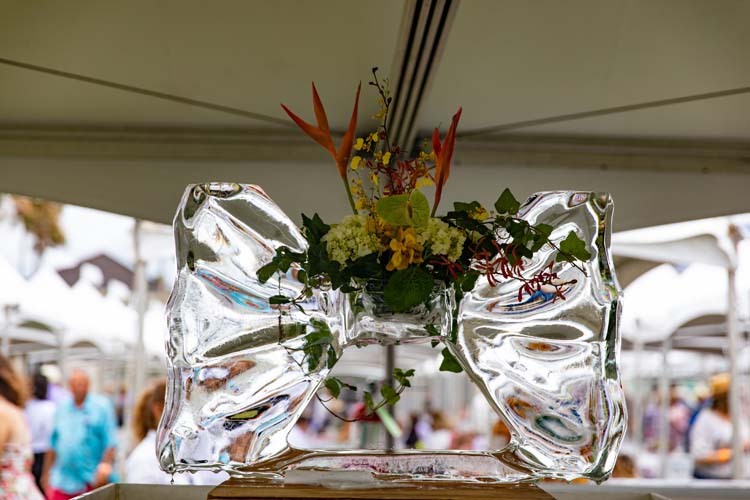 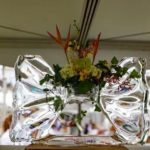 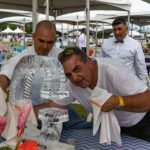 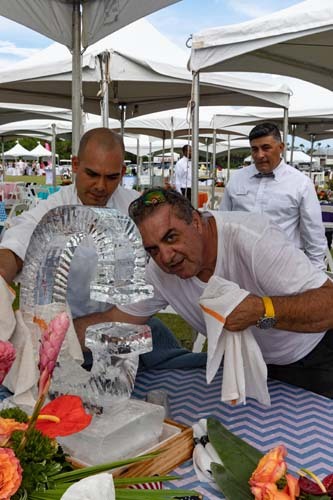 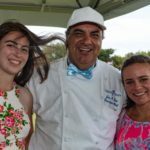 Joe Faria, Executive Chef of Quail Valley Club, and his efficient associates provided yet another sumptuous buffet, and free ice cream was offered to everyone, VIP and general admission ticket-holders alike, compliments of Windsor Properties. 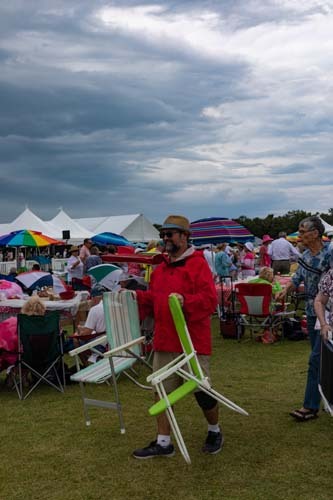 To the south, which is traditionally awash in families and friends toting their own often elaborate pre-concert picnics, were only a scattering of folks attend this year, but even some of that group stayed and weathered the storm.